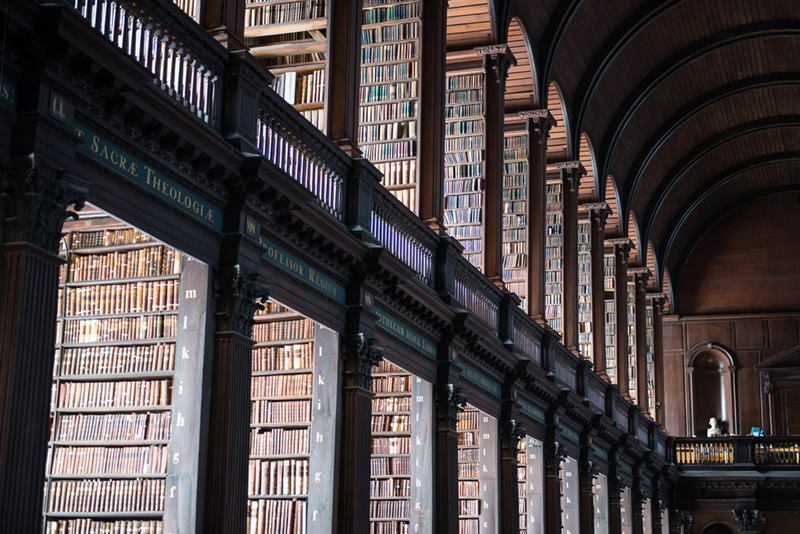 Trinity College Library Dublin, Located in the center of Dublin, Ireland’s capital city the largest library in Ireland. 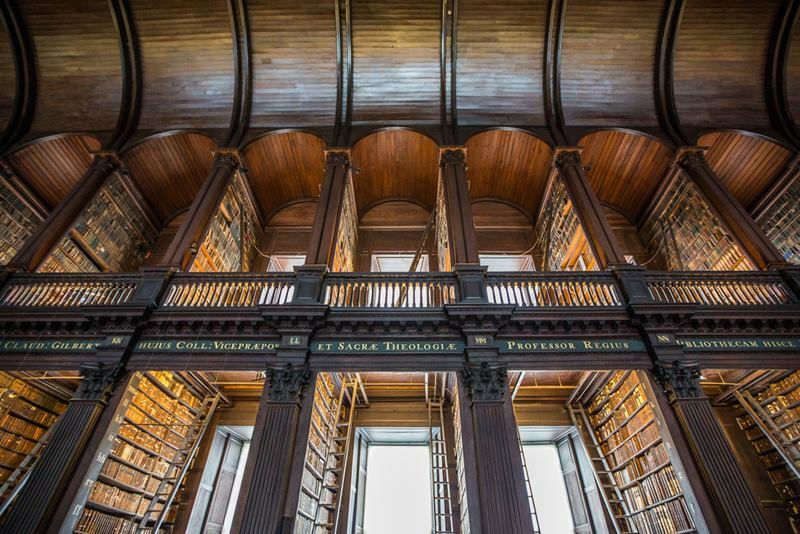 The original and Old Library is Thomas Burgh’s masterpiece. 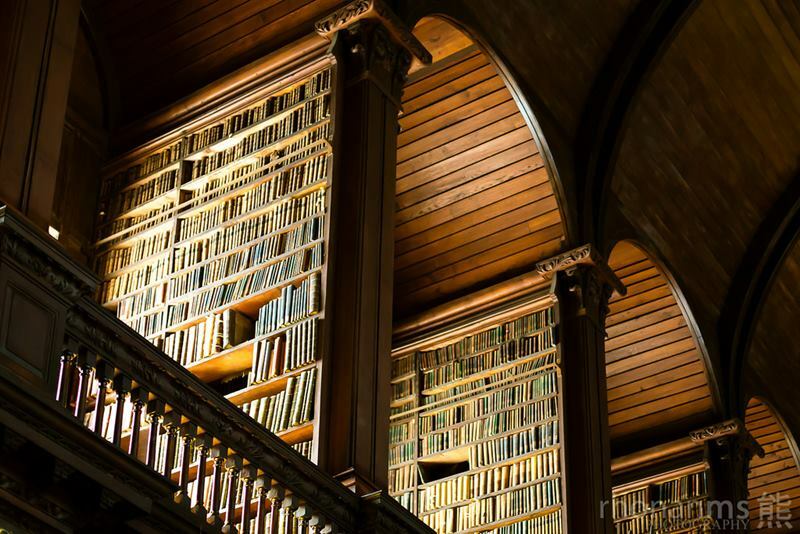 A huge building, it originally towered over the university. 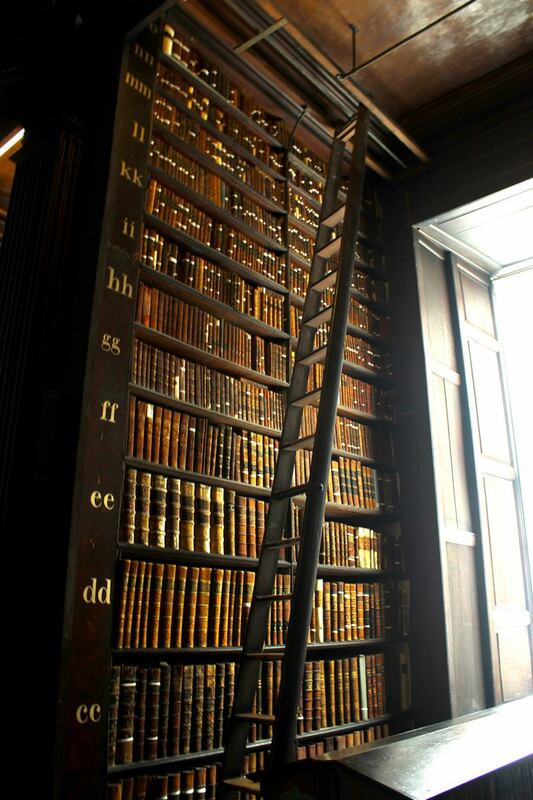 The Book of Kells is located in the Old Library, along with the Book of Durrow, the Book of Howth and other ancient texts. 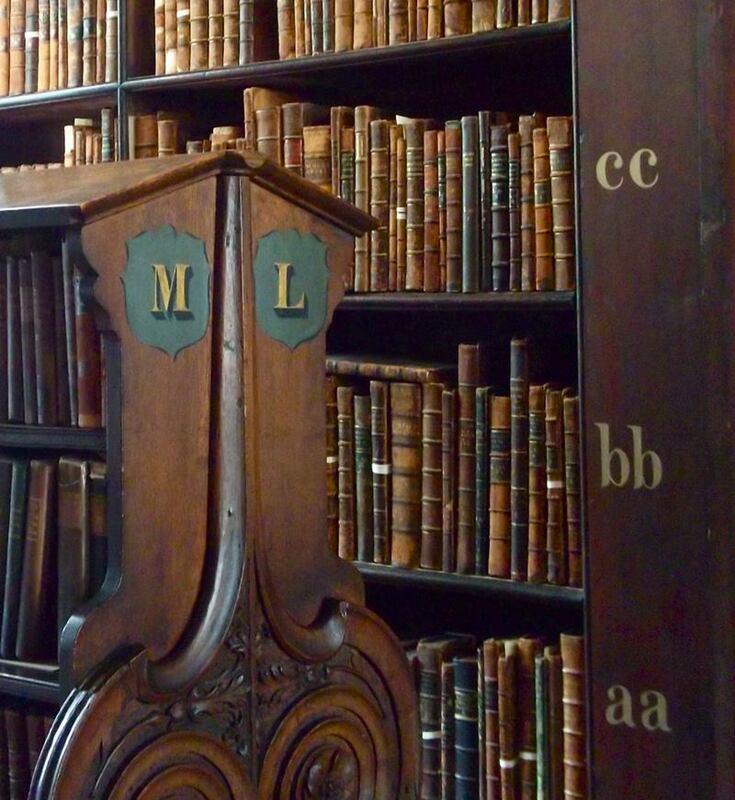 Also incorporating the Long Room, It covers the whole 400 years of the Library's development, the Old Library is one of Ireland's biggest tourist attractions, and holds thousands of rare, and in many cases very early, volumes. 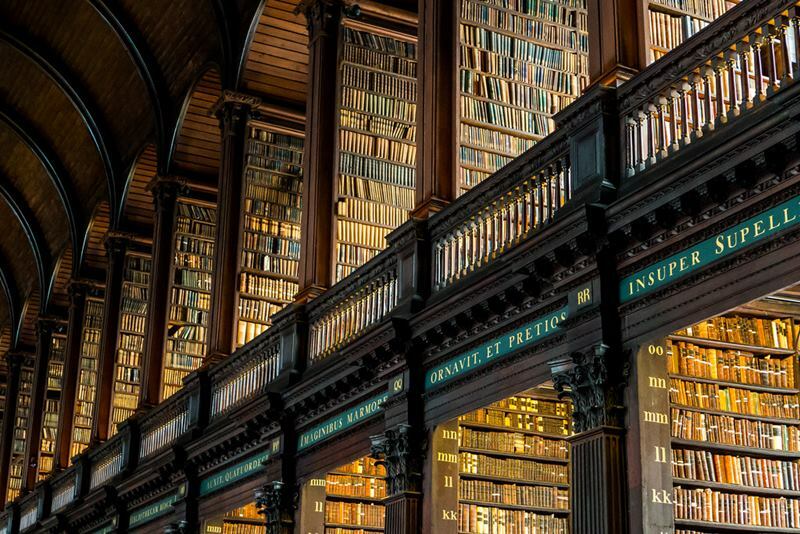 The Trinity College Dublin library is one of the largest in Europe with 4.25 million books and electronic access to over 30,000 journals. 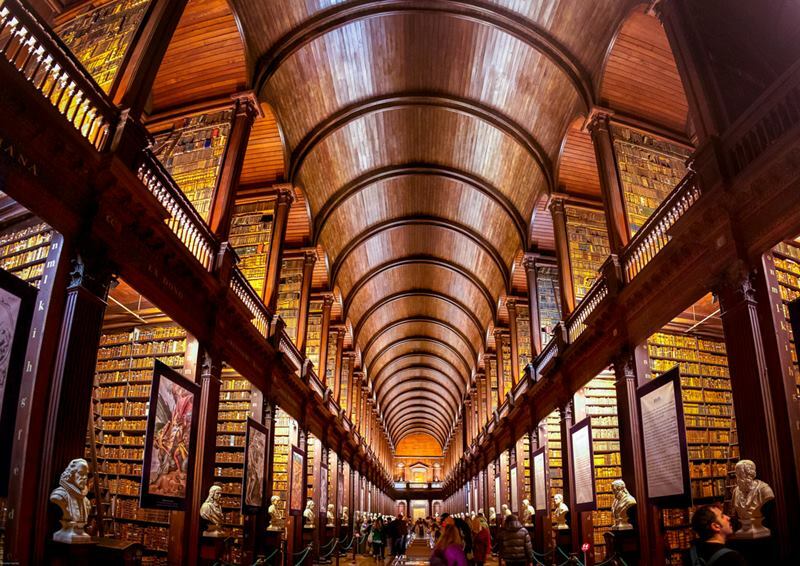 The main chamber of the Old Library is The Long Room, it is 65 meters long and it was built in 1712 and 1732 and it is the houses of 200,000 oldest books. 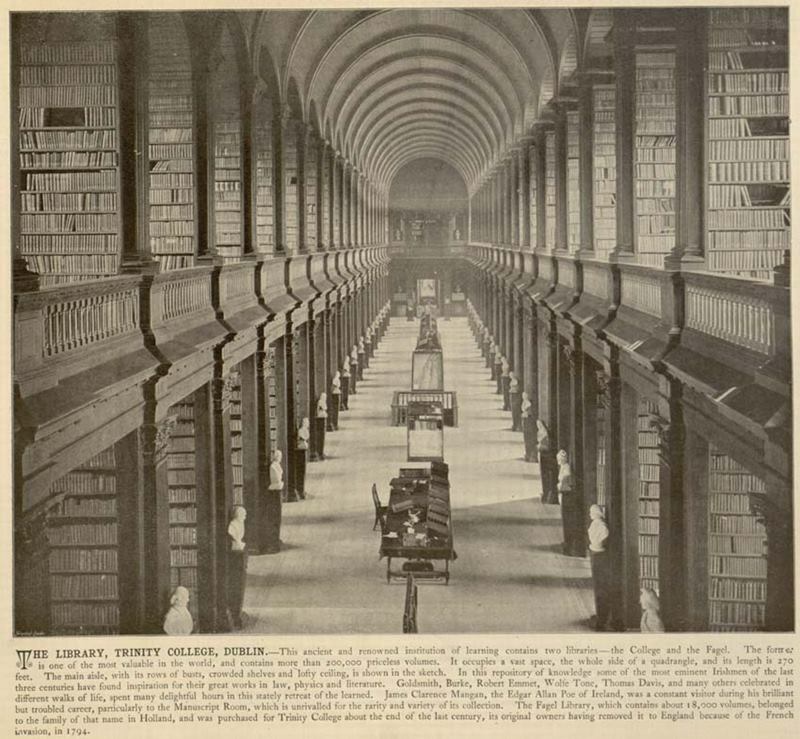 Initially The Long Room had a flat ceiling, shelving for books only on the lower level, and an open gallery. 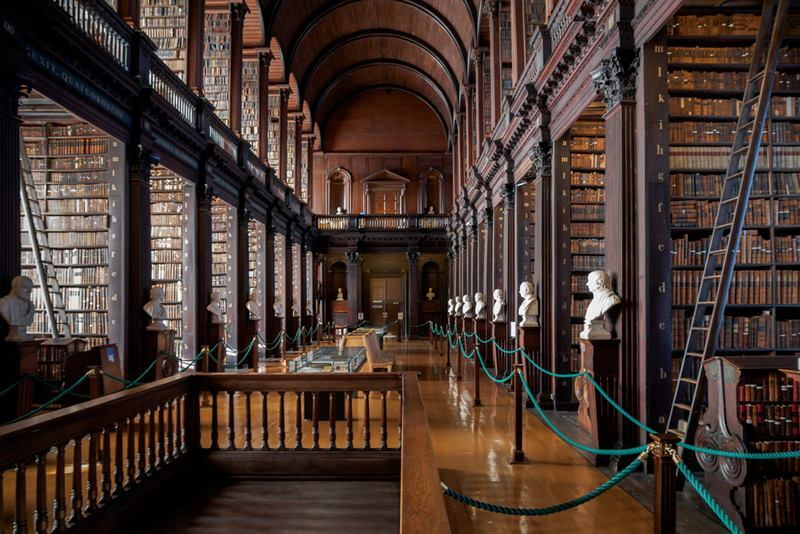 But in 1850s the room needed to be expanded as the shelves, in 1860s the roof was raised to accommodate an upper gallery. The Long Room is lined with marble busts. The marble bust collection was formed when 14 busts from the famous sculptor Pieter Scheemakers were acquired by the college. 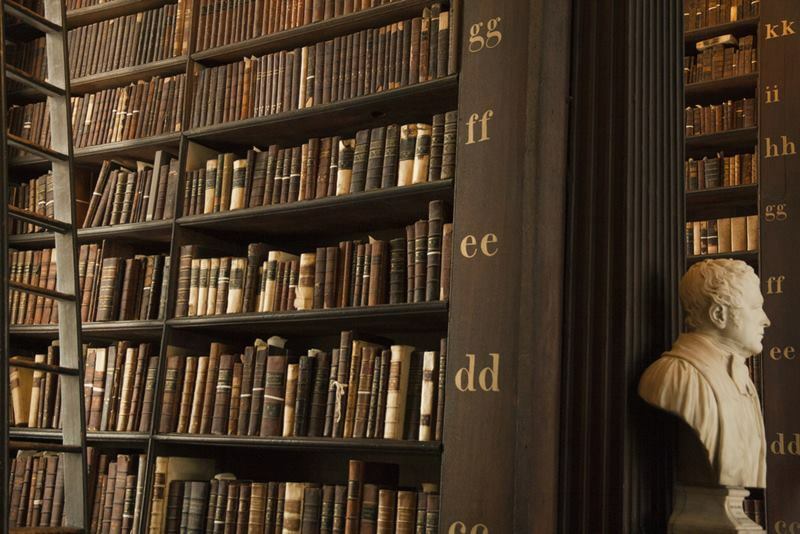 Many of the busts created are of great philosophers, writers, and men who supported the college. The most popular of all the busts in the collection is of the writer Jonathan Swift. This bust was created by Louis François Roubiliac. 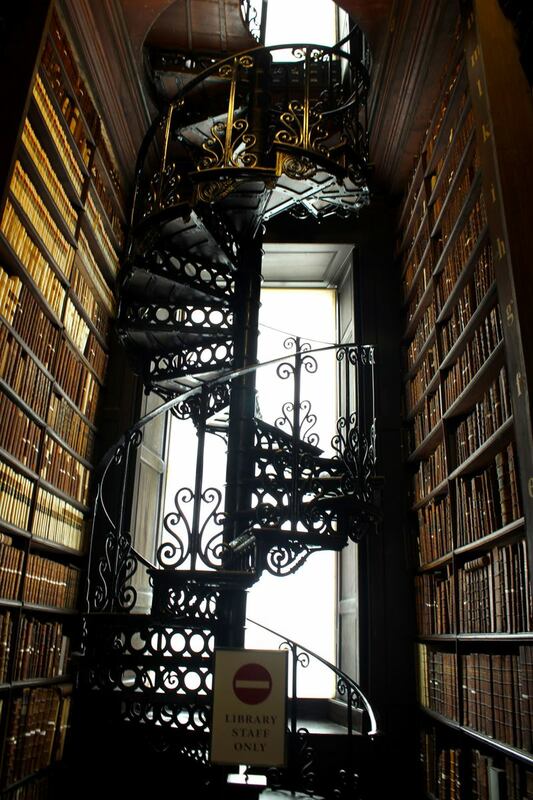 The Library, Trinity College Dublin. Photo credit A.I.D.A.N.